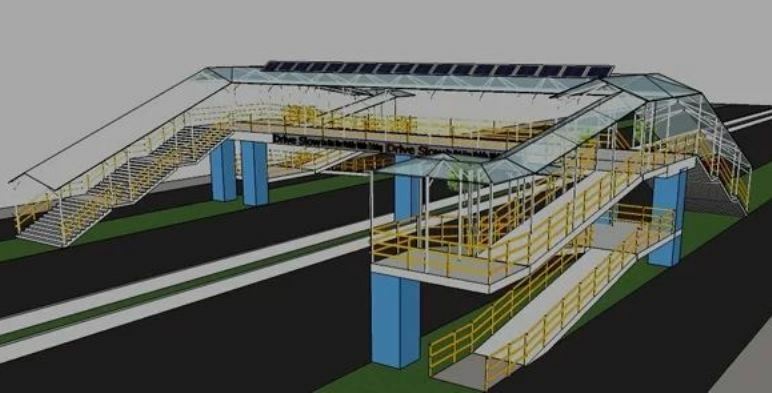 Kathmandu –The Kathmandu Metropolitan City (KMC) is to construct eight over-head bridges in eight different places in Kathmandu given the dense pedestrians. The construction of the modern and new types of overhead bridges is expected to ease the traffic management as well as contribute towards reduction of road accidents. The KMC is coordinating with the Traffic Police and Department of Road for the same, KMC's Physical Infrastructures Division Chief Ram Bahadur Thapa. Over-head bridges will be built in Teku Bhansar, Tripurashwor, Maitighar, Babar Mahal (Kathmandu District Court), Putalisadak, Maharajgunj, Koteshwor and Gausha. These places are identified as a place where vehicles ply the roads densely and the pedestrians had been facing problems due to congestion, both -vehicle and their volume. A total of Rs 120 million has been allocated to construct new bridges, said Thapa. Some overhead bridges have been designed where placing of advertisement and hoarding boards are not allowed. The KMC has been making income after placing advertisement in the sky bridges constructed earlier. The KMC had collected Rs 109.48 million as advertisement tax in the last fiscal year 2017/18.